There are threee mottes in Hamstead Marshall Park to the northeast of the church. The one to the east is an unfinished motte with no trace of a bailey which and be a 12th century siege castle. There two larger mottes near the church which are only 400 feet apart and so may have been part of just one 11th or 12th Century castle as they are so close. 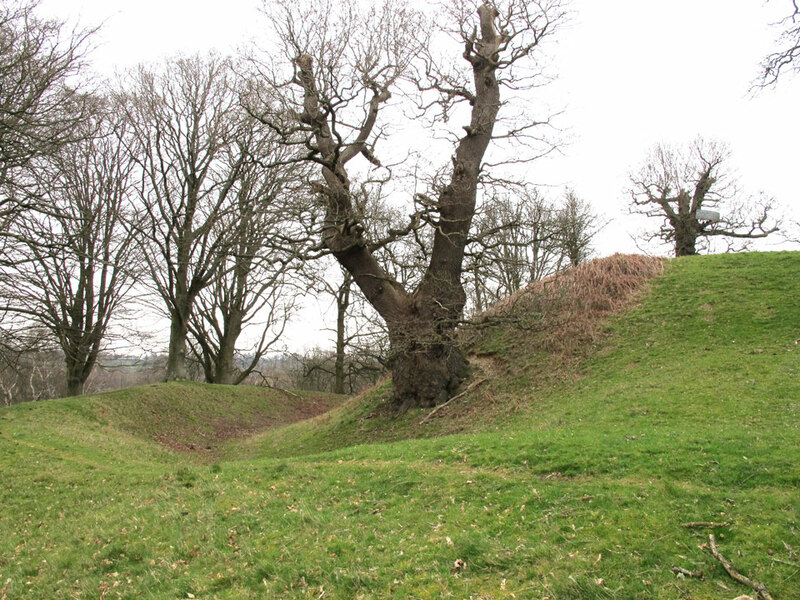 One motte is 150 feet across and 15 feet high, the other is larger at 200 feet in diameter and 25 feet high and may have superceded the smaller one. Both are surrounded by ditches 6 - 8 feet deep. In the 14th Century the castle was superceded by Hampstead Marshall Palace, but this was destroyed by fire in 1718.